We are a family owned and operated local business established by the late and beloved Peter Eurell Snr and his Father Robert Eurell in 1952. 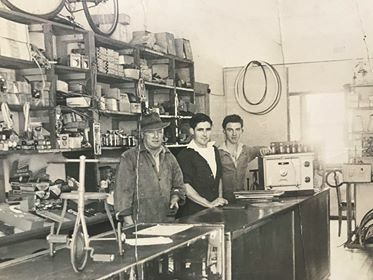 Beginning through a passion for bicycle riding and racing, the business has now been a part of the community for over 65 years. Over time it has expanded to sell, repair and maintenance bicycles, motorbikes, power tools, pumps, engines and generators, lawn mowers and spare parts. Eurell’s is committed to providing modern technology with old fashioned friendly service for the Leeton and Narrandera communities.